Because we don’t think you should carry with a holster that’s less than optimal, and we knew we could offer Kydex fans a better all-around holster. 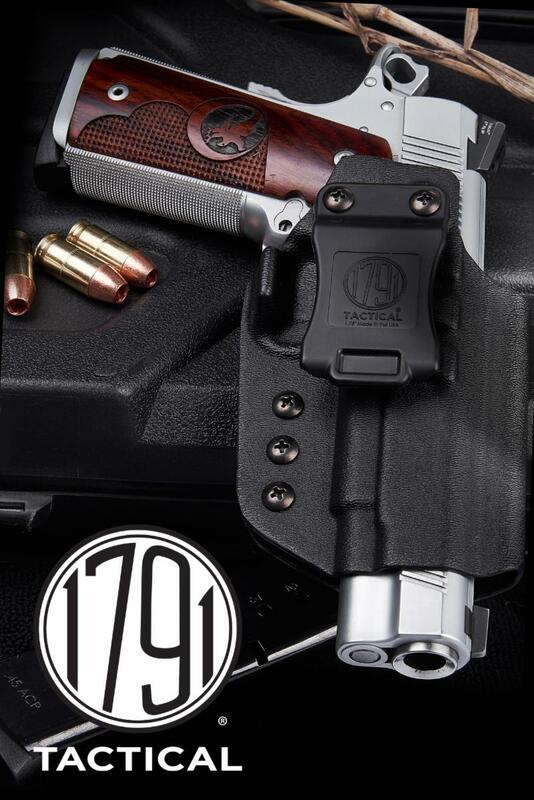 1791 Tactical IWB holsters solve the performance limitations commonly found in traditional Kydex holsters. Retention, concealability, wear and tear on your gun, and every day comfort are addressed in our thoughtful design and meticulous manufacturing process. While we can't clearly know all the details of how they're making Kydex holsters better, we do know that the're using a proprietary process to form each holster, not to a blue gun, but “an exact replica” of each one. This is a big deal because there can be differences between the blue gun and the actual gun, which is something many people don't talk about. It's close enough to get away with, but not always 100% accurate. If you want to learn more about our good friends over at 1791 Gunleather or any of their offerings, make sure you click that link.